Pleasant Hill Collision - Your Auto Body Repair Center in the Bay Area ! 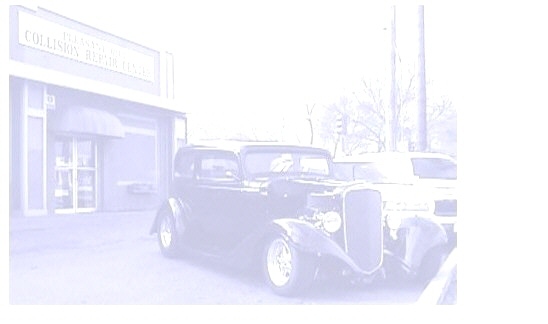 Repair Center, Inc. 1581 Oak Park Blvd. "Local Quality You Can Trust"
The Pleasant Hill Collision stock was purchased by the Silva family in 1997. As a family with thirty-five years of experience in the automotive field, the Silvas were concerned with what they saw as the declining quality in automotive repairs. Pleasant Hill Collision was formed with the commitment to provide honest, top quality, hassle-free repairs for our customers. 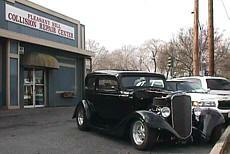 The Repair Center is licensed by the Bureau of Automotive Repairs and I-Car Gold Certified. Aaron Silva has 15 years of experience in the auto body business and a college degree in Small Business Ventures. His extensive experience includes auto body/frame work, auto refinishing, mechanical repairs and estimating. The complete staff at Pleasant Hill Collision is certified Gold Class trained in each field they specialize in, which ranges from auto body frame work, auto refinishing work to mechanical repair. Pleasant Hill Collision has a limited lifetime guarantee on all repairs and refinishing completed by our staff. "We know that having a vehicle repaired can be extremely inconvenient for our customers. Our courteous staff is here to assist our customers in any way possible, from dealing with insurance companies, to arranging car rentals. It is our goal to satisfy and deliver to them the highest quality repair in a timely manner."